Home / #Chronicles / #Mystery / #TrueNews / Brazil / #TrueNews : Six bodies found Sunday on shore near Sugarloaf Mountain in Rio de Janeiro ! 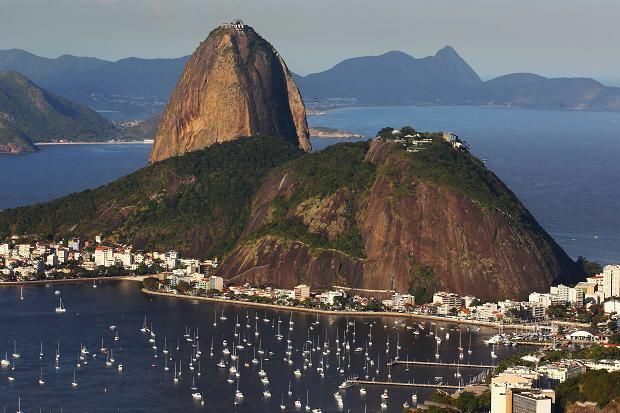 #TrueNews : Six bodies found Sunday on shore near Sugarloaf Mountain in Rio de Janeiro ! Six bodies were found Sunday on the seashore near Rio de Janeiro's iconic Sugarloaf Mountain and cable-car ride, the fire department said. "They were stuck in the rocks, on the shore," a spokesman said. Police were investigating the grisly discovery and did not say how the deaths occurred. However, the inaccessible area near the dramatic cliffs of the Sugarloaf was the scene of fierce clashes Friday between drug gangsters and Rio police. Shooting was so intense at one stage that the cable car running to the top of the Sugarloaf had to be shut down. Police said they clashed with gangs in the poverty-stricken favelas on the hills overlooking Leme, a posh area at the end of Copacabana beach. After the armed gang members fled into the woods, they apparently went toward the Sugarloaf shore area, where they were hunted by police in helicopters and on jet skis. Six rifles said to have belonged to the gang members were seized and shown to the media. Nearly two years after hosting the Olympics, Rio de Janeiro is experiencing a surge in violence. At the end of February, President Michel Temer put the army in charge of the police, though no real reduction in insecurity has resulted.